The Giants won; the Orioles won; The Nats won; the A's lost, and Biden winning was preordained. Farking prophets take all the fun out of watching events. i'm simply disgusted by the GOP right now. if there were a better option than (realistically) the dems i'd certainly go there. when will we quit this two party crap. When the voting public stops acting like children and/or sheep. Childeep? Sheedren? I think the word you're looking for is "public". As soon as there's no money in it - that's when the "two" party system will get dropped. Since the Supreme Court has put us a heartbeat away from NASCAR-style corporate endorsements, I'd say don't hold your breath. I'm dead serious; let's make holding public office a criminal offense. Anyone who wants it is clearly deranged in his own special way. They should be allowed to serve their sentence (term) and then be put away in a home, like a mental institution of some kind. If nothing else, we'd either weed out the nutjobs, or get some people in office who understand self-sacrifice and are willing to go to prison to get some good done. David Eddings had an island where once you were nominated for elected office, you were put under house arrest. If you were elected, all of your possessions were sold and put into the common funds. If the economy tanked, you lost out and couldn't buy back what you owned, and since you couldn't raise (or lower) taxes there had to be some real change for you to be able to get your stuff back. There wasn't much detail, but the idea has a certain appeal. Arthur C Clarke had a system where you're selected by a lottery. i think you should have to swim to a distant island, climb a mountain, steal a rare egg, climb back down with the egg, then swim back with the egg, and present it to the current chief. 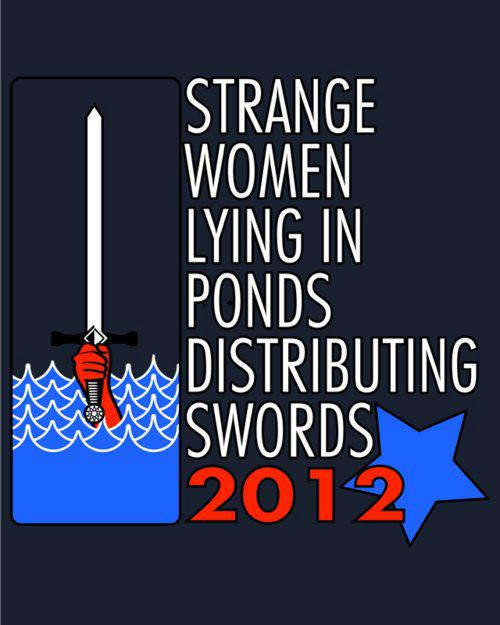 I was also partial to the magic sword embedded in the rock thing - or the aquatic tarts distributing swords as a basis for a system of government. well, the sooty tern's eggs aren't really rare, just really hard to get to.